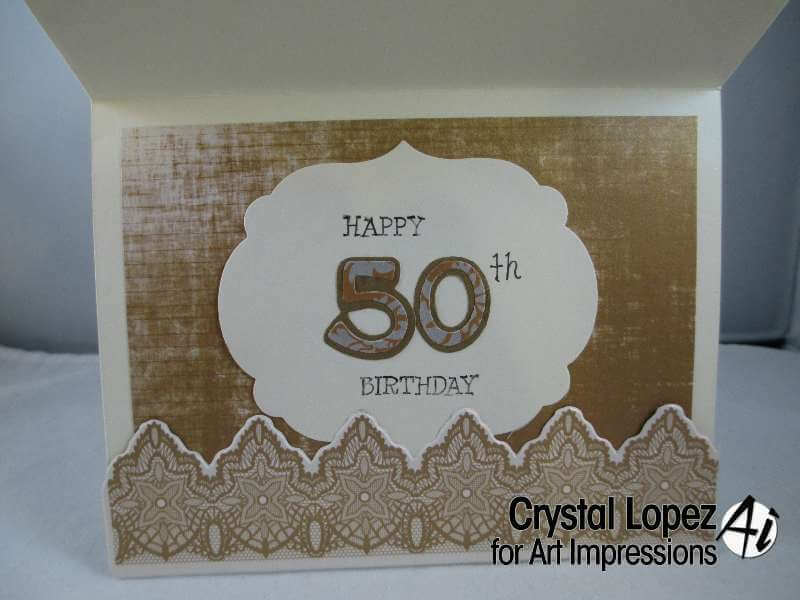 It’s Crystal here with a 50th birthday card using the Ruby Rock-it papers , just a perfect fit for this creation. 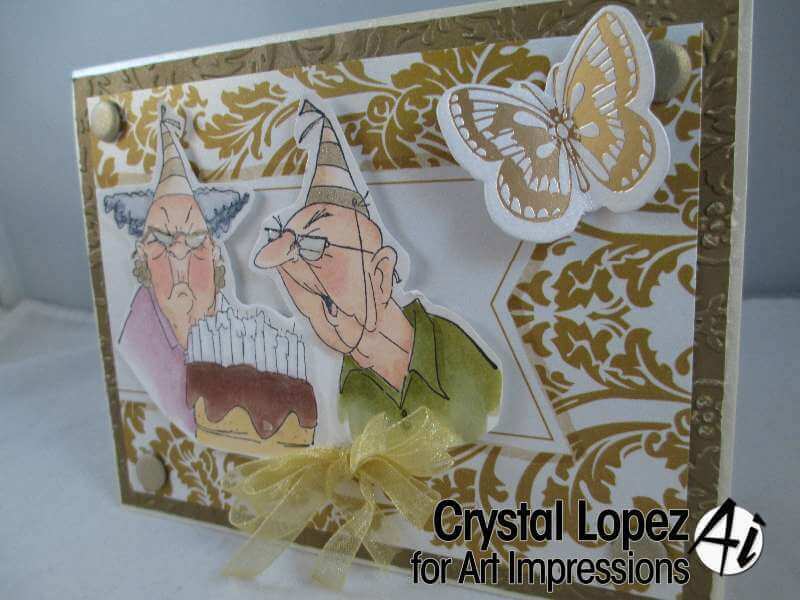 I am using the Birthday Couple sku #T1920 and the Happy Birthday sku#E3578. 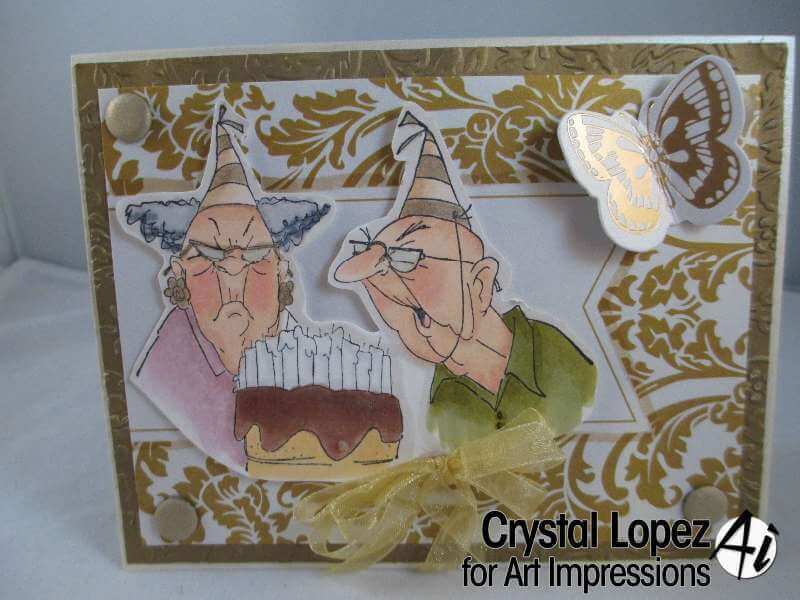 inside the card I cut my 50 from sizzlits I have in the Graffiti font , I inked the happy then stamped then inked the birthday and tape off the happy to split up the words , the border is from the Ruby Rock-it glitter borders set. 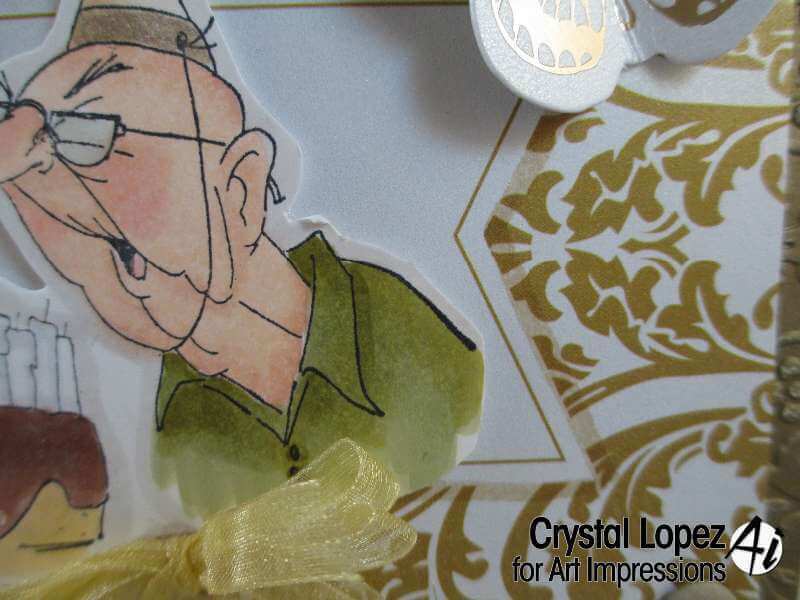 I hope you have enjoyed all the inspirations using the Ruby Rock-it papers, they are so beautiful and inspirational . 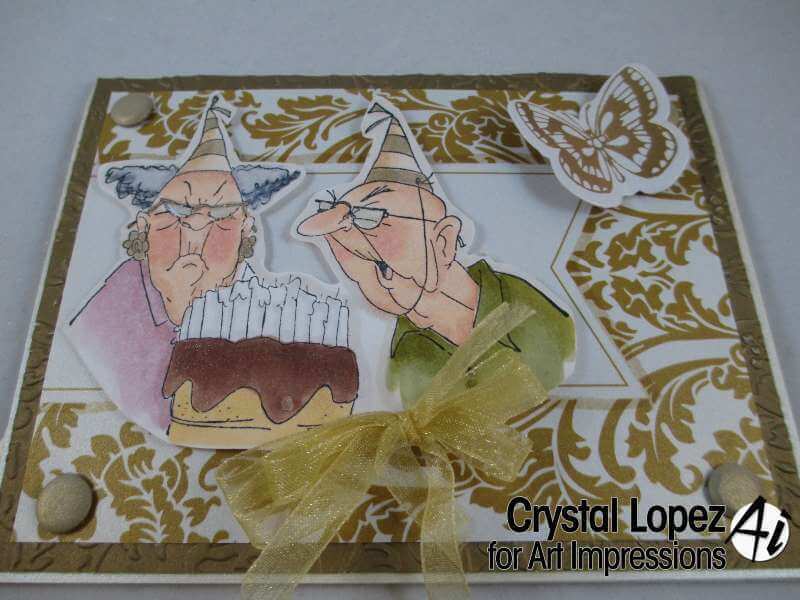 Tomorrow we start a new Challenge on the Art Impressions blog ,come back and play along.